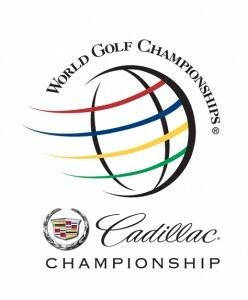 It was a highly anticipated day on the PGA Tour this week for the opening round of the 2012 Cadillac Championship, where all of the top-5 ranked players in the world would tee it up. And at the end of Day 1, it’s Adam Scott and Jason Dufner who are atop the leaderboard, after firing a 6-under par rounds of 66. Scott ripped through the windy conditions at TPC Blue Monster on Thursday, makign it look easy on a golf course that was playing quite difficult. One need not look further than the pairing off the top-three players in the world, in Rory McIlroy, Lee Westwood and Luke Donald. Neither McIlroy or Westwood broke par. And elsewhere, Tiger Woods and Phil Mickelson each recorded rounds of even par 72. But there were definitely some scores out there, as evidence by Scott and Dufner. Charl Schwartzel recorded a 4-under par round of 68 to keep his solid play this season going. Keegan Bradley and Aaron Baddeley also fired rounds in the 60’s. But now, it will be inresting to see how these top players follow up the opening rounds, specifically, McIlroy, Westwood, Woods and Mickelson. We thought that McIlroy might have a let down tournament this week, after capturing the No.1 ranking in the world with his win at the Honda Classic this past weekend. And that was capped off with a trip to New York to play tennis with girlfriend Caroline Wozniacki. But with the Masters just a month away, this is the time where golfers look to fine tune their games and get things going. It was surprising to see Woods follow up that fantastic 62 in the last round at the Honda with just a round of 72, especially when he came out of the box with an Eagle at No.1. He fired an 8-iron to a couple of feet and boom, it was on. But now, sitting six shots back, it’s time to make a move. Revised Cadillac Championship Betting Odds available at Bovada sportsbook have been released after the completion of Thursday’s round, with Scott now a 5/1 favorite sitting alone as the top favorite. For a complete list of all of the field and a look at the revised odds, be sure to check out the PGA tour page at Bovada. This entry was posted in News and tagged adam scott, cadillac championship, pga tour betting odds, phil mickelson, revised pga tour odds, tiger woods on March 9, 2012 by Bryan.